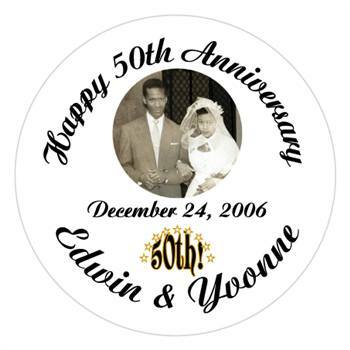 Anniversary Photo Label - Personalized Anniversary Label Party Favors, Ideas, Supplies & Gifts. A minimum purchase of (3 Sheets) is required for this product. Our peel & stick labels are money saving and fun way to create your own personalized party favors. in the instruction boxes on this order form.